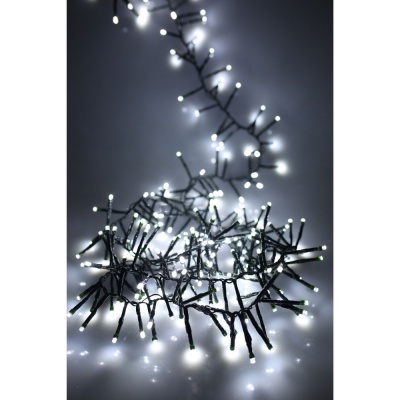 Noma® Multi-Effect Cluster Lights 720 White LEDs on Green Cable suitable for indoor & outdoor use adds a white glow to your artificial or real Christmas tree. 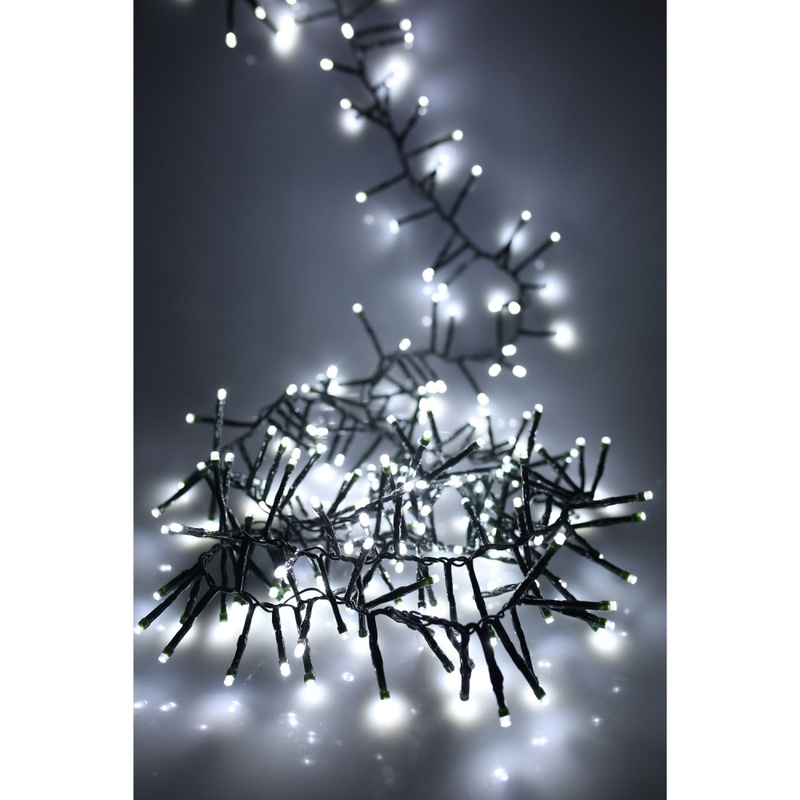 Cluster lights are designed so that each LED is lit on its own individual 2 inch strand which stems off from the main cable which creates a tinsel like illuminated effect. Noma® LED lighting not only saves energy but each bulb has an expected lifetime of an incredible 20,000 hours. Using a low voltage transformer these long life lights are commonly used for outdoor use to light up guttering, garages, porches or doorways. Decorative lights set benefits from an 8 function memory controller which also includes a static effect. Each white LED is 5mm in length and 720 LEDs make up this cluster lights set. Noma® ‘Easytimer’ system is included within this set, which ensures the lights stay on for 8 hours / off for 16 hours programmatically.